I’m a huge petrol head. I love cars and motor racing. And especially I love the noise of throaty, roaring, powerful engines. 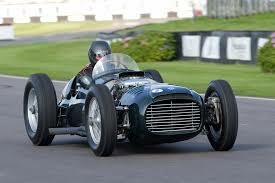 A few years ago I was lucky enough to be stood behind the 1950’s Formula One BRM V16 engined car owned by Pink Floyd’s Nick Mason as he started it up. The thraaaaaaaappppp as the engine exploded into life was enough to rip ones jeans off, to blow you into the next county and to wonder why you couldn’t hear people who were shouting in your face. And this was achieved with very little effort, it is an easy power that generates so much. At the same meeting there were a whole raft of vehicles with great engines; such as V8 Fords and German Straight 6’s with all their rumbling foreboding of emmense power. And then there were a number of turbo-charged small capacity engines that whined and whistled; and whilst those also had power to spare they never got my juices flowing, they never excite me as much as some petrol guzzling monster. The same goes for singers for me. I like singers with a throaty and gutteral roar, a deep power that is harnessed with ease and that becomes as much a percussion instrument as a singing one. And then there are singers that, whilst having a power and an ability, remind me of those turbo units; that for me have a high-pitched and slightly annoying quality. 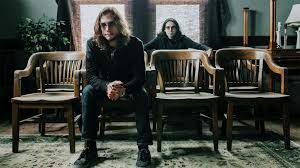 It is probably heritical of me to say this here (and I’m fully expectant to not feel love for what I’m about to say) but singers like Ronnie James Dio, Steve Hogarth and Jon Anderson (yes even St.Jon) just don’t do it for me. I don’t doubt that they are very talented, that technically speaking they are exceptional exponents of their art, but to this reviewer I just don’t get it; they are to me fingernails on a blackboard, and try as I might I cannot fully enjoy the work they sing on because of this. I’m afraid to say I have to add Joshua Corum, the singer and guitarist for Head With Wings, to this list. Listening to their new album, From Worry to Shame, I became very disconcerted by the almost childlike timbre to Corum’s voice. And, despite the many good points to the album, his voice became a block to my enjoyment of listening to the album in one go. I think, potentially, I could dip in and out or hear single tracks in isolation and enjoy them, but as a whole I would struggle. I felt the same when listening to Marillion’s Sounds That Can’t Be Made. However, like STCBM, there are lots to enjoy in this album, musically. The opening track, Goodbye Sky, opens with an almost like Roger McGuinn Byrdsesque jangling guitar sound that welds itself with the disturbing hard metal guitars that kick in throughout the album. There is a musical drive that is reminiscent of the big American muscle engines I love so much, it grinds, grunges and throbs through out before breaking into intermittent passages of slow and melodic understated playing. 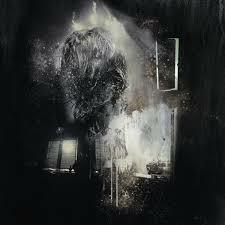 It has an industrial feel that is great in isolation yet, for me, jars with the vocals. Its as if, for me, Corum the singer is having to try too hard to compete with Corum and Brandon Cousino the guitarists. For this petrol head reviewer, the grumbling and easy V8 power will always win over the whistle of a turbo. However, I’m fully prepared to be told I’m wrong. I know that there are more than enough music fans out there who will be perplexed by my views on singers like Anderson and Hogarth who’ll love this album precisely because of the singing. And if you are a fan of those type of singers I whole-heartedly suggest you do listen, buy and enjoy this work. You will, I’m sure, rate it very highly. Just not me…give me that thrapppping BRM V16 anyday. I strongly disagree. I think Joshua‘s voice fits the narrative on From Worry to Shame perfectly. It is precisely that “childlike timbre” of Joshua’s voice that paints the picture of the story. Desperate shrill almost and so sad. I’m glad you enjoyed the album – it didn’t work for me, but I’d imagine that’s more to do with my preconceptions and tastes than any issue with Joshua’s abilities. Of course that is just my opinion which it is fair to disagree with, as you’ve done. And its not as if there isn’t plenty to enjoy in this piece, it just didn’t hit the spot personally. Thank you for reading and taking the time to contribute, though, it is greatly appreciated.